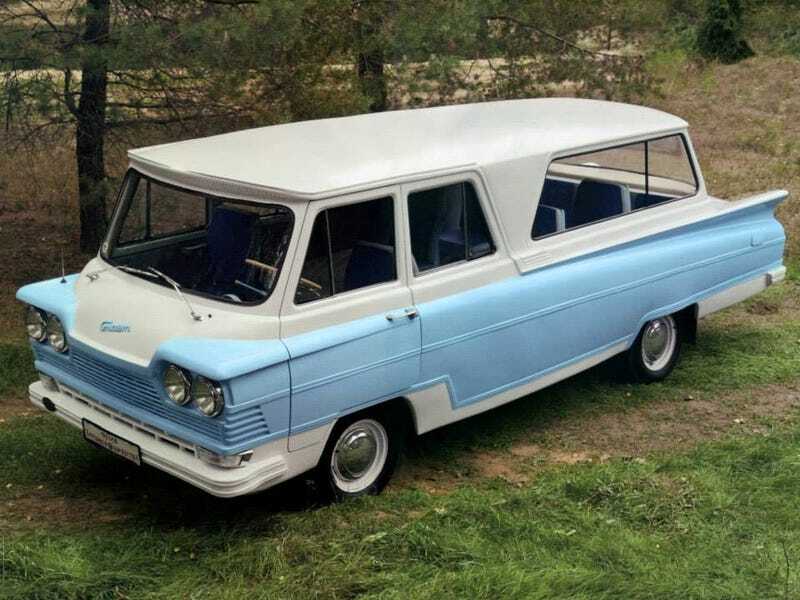 Don’t mind me, I’m just posting a picture of a Ukrainian van that looks like a three-way mashup of a ‘58 Fury, a Corvair Greenbrier, and a ‘61 Comet. On a GAZ chassis. (SARB Start, 1964).